Charles Fréger is a French photographer with a keen interest in portraiture of individuals belonging to diverse social groups and communities. 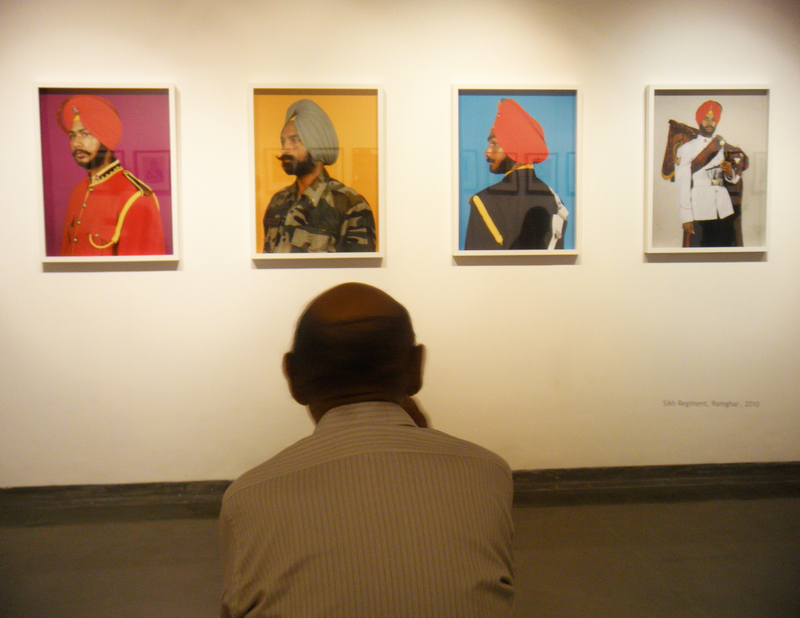 This very interest of his brought him to India recently where he photographed members of the Sikh Regiment in Jharkhand. It took about two years for Fréger to procure the required permissions and clearance with the Indian army to be able to photograph the regiment. The photographs of the Sikh Regiment tell the story of postcolonial India, with men in turbans and with mustaches dressed in Scottish tartan’s with pipes. His photographs are manuscripts of information capturing cultural diversities and communities. The minute details of the uniforms and costumes have been well captured. Besides the members of the Sikh Regiment other works showcased are an African tribe called Hereros, the Empire, Opera singers and lastly pretty women smiling – Winner Face. 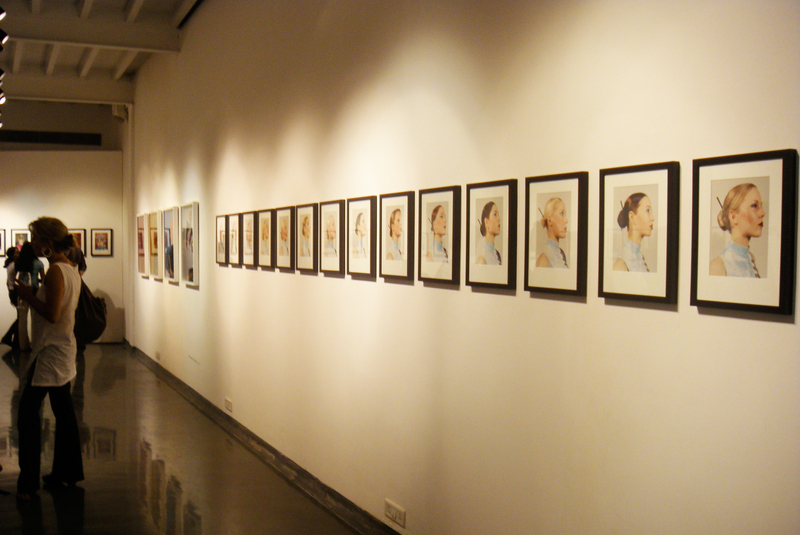 These are not mere portraits, they are contemporary portraits that could be used as documents to study when some of these social groups and tribes no longer exist in the future. Besides the portraits being about cultures and diversity they are also about aesthetics – the painstakingly created costumes have been captured with care. 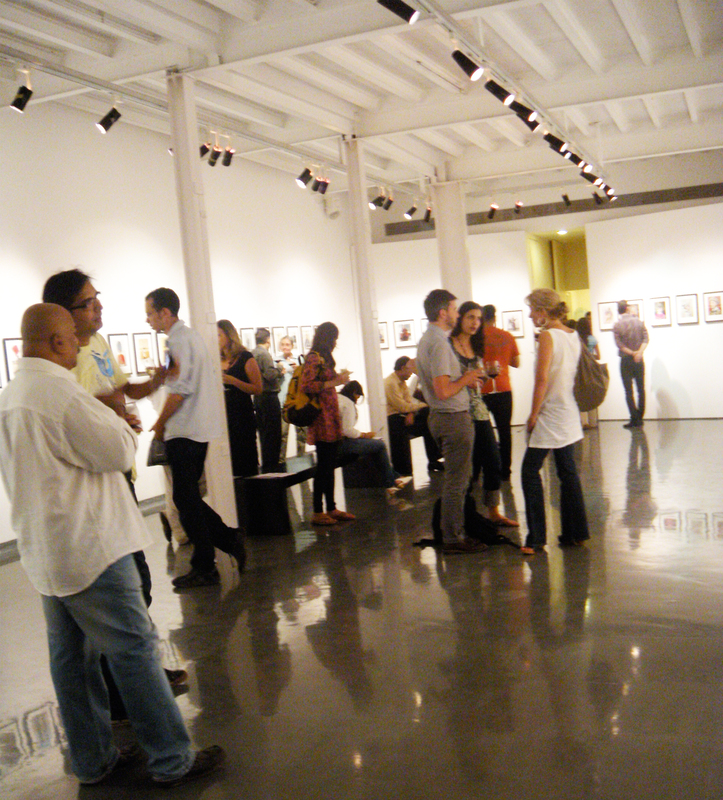 The reception was well attended by the expatriate community, tourists as well as locals. At the reception I met a German tourist that was in town to give a lecture at Mumbai University and then travel for a few weeks in India. Lisa has a keen interest in literature and was wowed by the Mumbai University building. The artist was not present at the opening reception but he did get a glimpse of the space and the gathering through skype. Matthieu Foss, the owner of the gallery personally attended and greeted guests. I overheard Foss mention that next Fréger wants to photograph men from the army on either side of the Wagah border. If accomplished then that will be a great feat as getting permission from the Indian and Pakistani armies is going to be arduous. This entry was posted in Art, Culture, Design and tagged art, Bombay, Culture, Design Innovation, Fashion, gallery, Indian, Mumbai, Photography. Bookmark the permalink.